There is always the opportunity to organize your workspace during a slow time. This can involve things such as creating spreadsheets and optimizing your computer. For example, perhaps you could install some new accounting software to make your bookkeeping easier. Now is the time to take stock of what has worked and what hasn’t in your advertising over the last few months, and then plan ahead for the coming months and years. This means you could look into new advertising sources, testing different forms of advertising, and thinking about various market research that can be done to make your adverting campaigns more effective. Another thing you can do during a slow period is to set new goals. Where do you see your business in 1 years time? 5 years time? 10 years time? Is there anything else that you can be doing that you are not currently doing? Creating new objectives is part of any successful business. While you are hard at work during a busy time, it’s hard to keep up with trends and new developments in your market. However, once you come into a slow time then this give you the perfect chance to get up to date with that is new and see how it can incorporate into your business for the future. Proper staff training should be an ongoing process, and no matter how skilled they currently are they could always use more training. This is why you should train your staff during a slow period, even if it means going over old ground as this will refresh their memory. If you have been spending too much time in the office then maybe you need a break to clear your head? Go golfing for the afternoon or somewhere you haven’t been for a while. It may seem counter-intuitive, however, taking a break is a great way to recharge and refocus your energies so that you’ll be more effective when you get back to work. Is there a particular business book that you haven’t read in a while? Or perhaps there is a book you have been meaning to read? Anything to increase your knowledge. You never know when a new learning can help you in your business. Even a small tip can come in handy. If your email inbox contains more spam than anything else, then this can be a great time to unsubscribe from lists and have a good clean out. This makes you so much more affect when you don’t have spent 5 to 10 minutes a day deleting spam, and can instead take those minutes for good use! When was the last time you made the effort to network with other business owners in your local area? Just one new contact could improve your business big time. Doing this can land you a client that you’ll have for the next 20 years, which makes this a very good thing to focus on during a slow time. 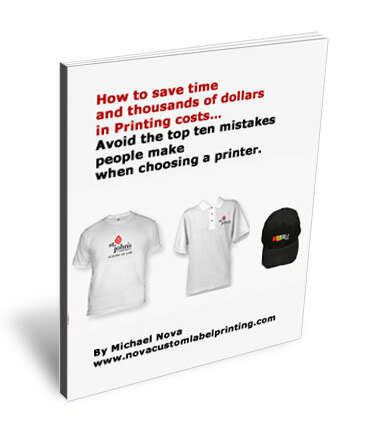 Lastly, we should also mention (how could we not) that T-shirt printing is a very effective, low-cost form of advertising. 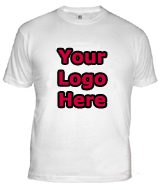 People walk around wearing your logo on their chests as walking billboards. If you want to get your business’s name out there, this is a great way to advertise. Get creative with a nice design and people will undoubtedly take notice.